There is something slightly terrifying about Thomas Schütte’s The Efficency Men. The metal frame bodies are strange and the blankets round their shoulders give an air of pathos but ultimately it’s the eyes in their oversize heads that get me. Staring into the eyes of one of the figures isn’t at all comfortable. It’s partly the way they stoop. They loom over me and feel quite menacing. That certainly doesn’t help. But it’s not just that. When I look up into the eyes of the efficiency man at the front, I understand their scariness. Efficient they may be, but they are also blank and unfeeling. The source if my anxiety? Mainly, it’s the emptiness of their heads. 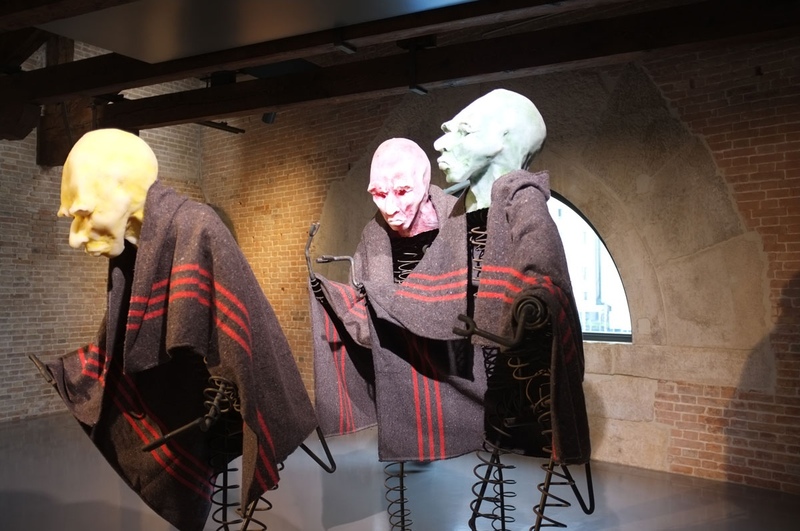 Thomas Schütte’s The Efficiency Men can be seen in In Praise of Doubt at Punta della Dogana until the end of 2012. Don’t look into their eyes. It’s scary. 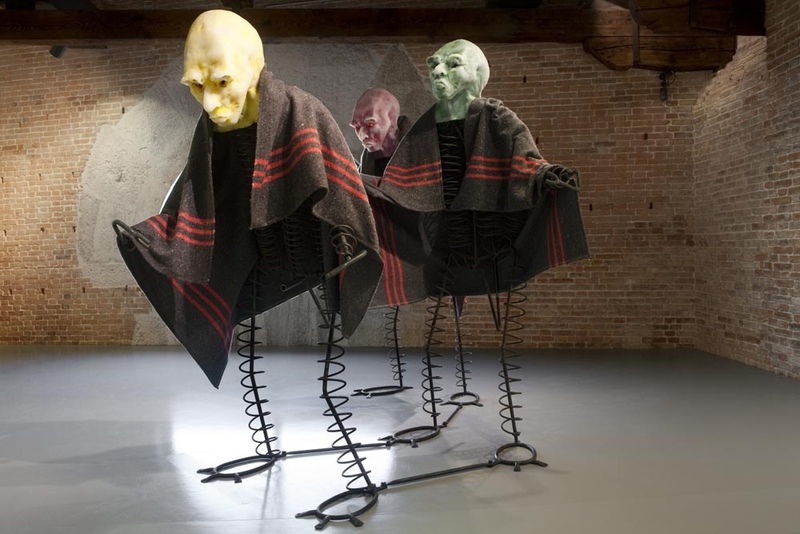 This entry was posted in Installation, Sculpture and tagged art, Efficiency Men, installation, Punta della Dogana, sculpture, Thomas Schutte, Venice by Ann Jones. Bookmark the permalink.